Graduation from the Hellman Pool opened the door for competitive swimming at Mills. The Mills track and field team has experienced hardships due to renovations at Merritt College’s facilities. Mills alumnae Lola McCall and Chavon Rosenthal will be riding 545 miles from San Francisco to Los Angeles in June as a way to help fight the HIV/AIDS pandemic. Three graduating Cyclone athletes discuss their experiences with crew. Find out what the Mills College athletic coaches do on their off-season. From coaching club sports to secluding one’s self in a remote Minnesota cabin, coaches still find time to recruit new athletes to their team. The Mills College Student-Athletic Advisory Committee was recognized for implementing their plan of action to get both the Oakland community and Mills community involved in athletics. Isidora “Dora” Jimenez will complete her competitive sports career upon her graduation in May. 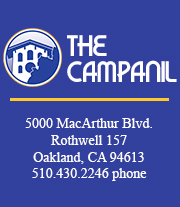 Carrol is the former Sports & Health Editor for The Campanil. 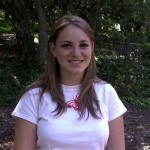 She graduated with an English literature major with minors in journalism and psychology in May 2010. Interact with her on twitter @ChaoticNonsense.